Earn or Buy WarpPortal Energy at the best price. 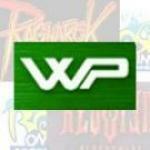 WarpPortal Energy is a virtual currency used in Gravity Interactive online games. Obtain various special items that are not sold in any in-game shop, services, and much more! *Premium Game Currency for Ragnarok, Requiem, Rose Online.